Some 80 per cent of emergency beacon alerts are activated by accident, taking resources away from real distress situations. The Australian Maritime Safety Authority (AMSA) is urging boaters to make sure beacon registration details are up to date and to dispose of old beacons properly. "About 1,300 alerts for the year, about 80 per cent of those were what we could call non-distress, so that's either mishandling, incorrectly stored or incorrectly disposed," AMSA senior search and rescue officer Stacey Kinnane told ABC News. "So for those sort of instances, vital assets can be sent to locations where they are not required." When a distress beacon is activated, the signal is received by satellite and a rescue coordination centre is notified - prompting search and rescue operations to commence. Distress beacons must be disabled before disposal. Check the beacon manufacturer's instructions for disablement, and contact a local waste management facility to see about disposing of your unwanted beacon in an environmentally friendly way. In Victoria, all recreational vessels heading out more than two nautical miles from the coast are required to carry an approved 406 Mhz EPIRB (emergency position indicating radio beacon). However, it is recommended that all vessels venturing into coastal waters carry one. 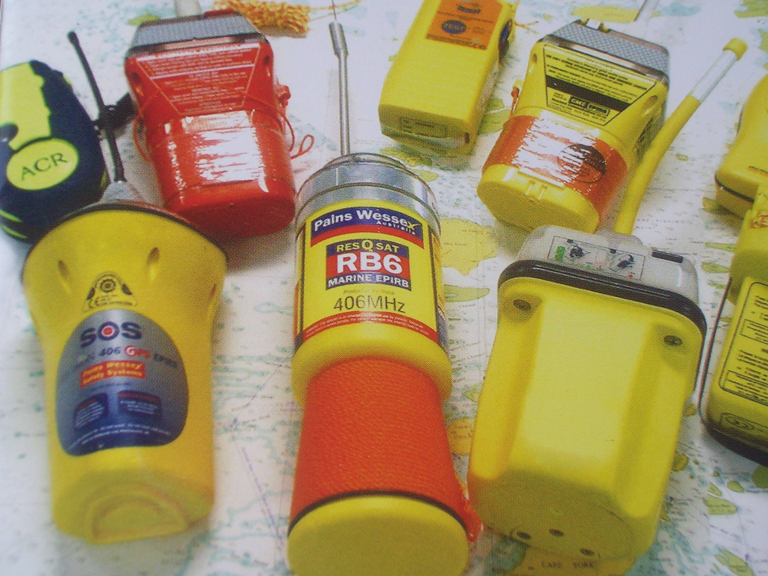 Personal locator beacons (PLBs) are smaller than EPIRBs and are often used by paddlers - but as with other boaters, they would be required to have an EPIRB if going more than 2nm offshore. To find out what you are required to carry onboard under Victorian law, refer to our safety equipment guide. Read more about beacons and registration on the AMSA website.